As I’m sure many of you with young children will know, PJ Masks is a fun cartoon that probably fills your TV from morning until bedtime! Well it does in my house! Baby girl is obsessed with PJ Masks and will dance around the living room shouting “Let’s Go!” At any opportunity she can. Last year we reviewed the Time to be a Hero DVD and also had the chance to share our thoughts on the PJ Masks Deluxe 16 Figure Playset pack. 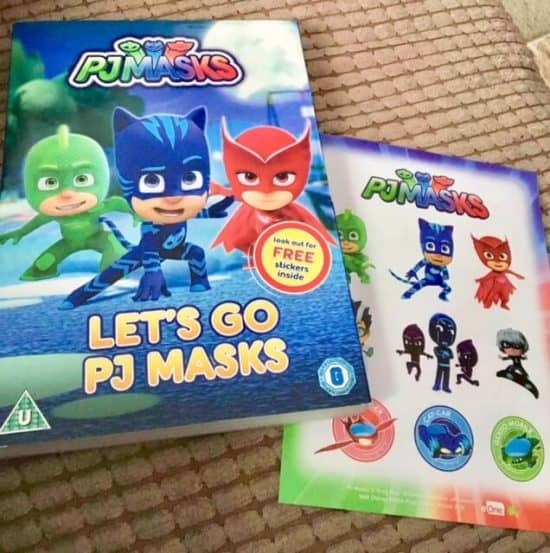 When we had the opportunity to watch the new PJ Masks – Let’s Go PJ Masks DVD before it was released it made both our day. Yes I’m known to start humming the PJ Masks theme tune at work, it gets in your head! 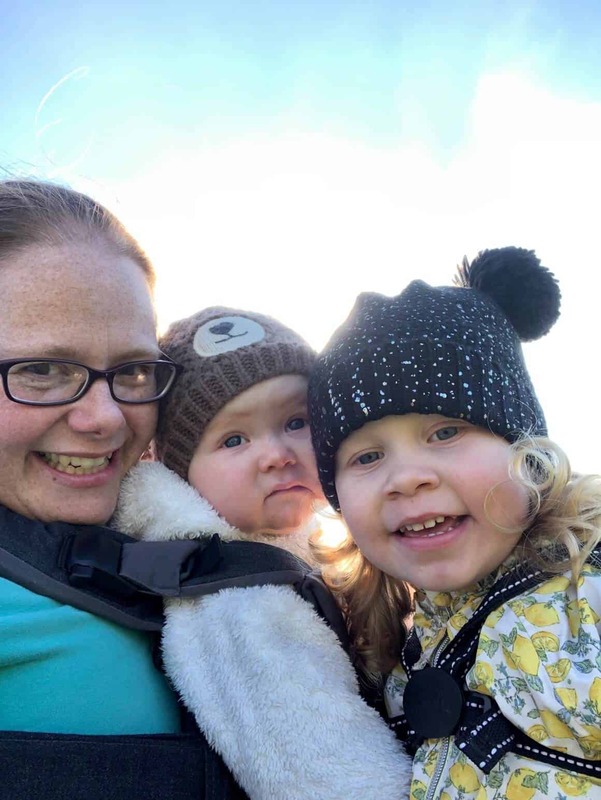 When baby girl had a cold last week we had the time to snuggle up and settle down to watch the whole DVD in one go. It’s a full on 72 minutes of action and superhero fun. The DVD contains 6 fun-filled episodes that are on DVD for the first time. Gekko and the Snore-A-Saurus – Luna Girl turns a sleep-walking Cameron into her very own human puppet. It’s up to PJ Masks to save the day… but Gekko has to stop messing around first! Catboy and the Shrinker – Romeo and Night Ninja team up to shrink the PJ Masks with Romeo’s shrinker invention. When Catboy gets shrunk, he forgets that even a little guy can save the day . . . if he can use his small size to his advantage. Blame it on the Train, Owlette – When the new Fairground Flyer Train goes missing from the fair, Owlette is determined to get it back quickly. But if she wants to defeat Romeo’s new super train, she’ll need to learn that a little patience goes a long way. Looking After Gekko – When Night Ninja steals the school bus and converts it into his very own super-vehicle, it’s up to our heroes to stop him in his tracks. But for that to happen, Gekko needs to learn that asking for help doesn’t make you weak. Catboy’s Tricky Ticket – Catboy only has two tickets to the Jayden Houston concert and has to decide which of his best friends to take to the show. Owlette and Gekko offer him presents to sway his decision and Catboy’s newfound greed could ensure Luna Girl ruins the concert for good. Clumsy Catboy – Romeo plans to use his newest device to make everyone in the world so clumsy that they can’t stop him from taking over the world. But when agile Catboy is the first to be “clumsified”, he can’t admit it and tries to save the day without any help. We loved the DVD, it kept us amused throughout. 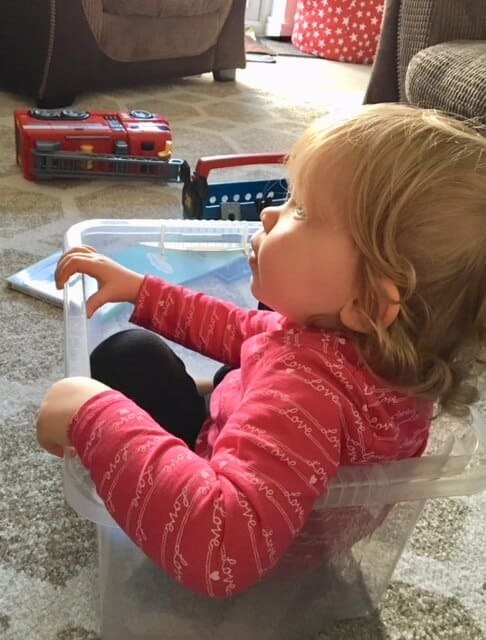 In fact baby girl found a comfy spot in her book tub and was mesmerized with the cartoon. 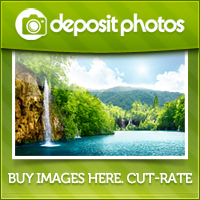 It’s a DVD that everyone in the family can enjoy not just your preschoolers. Thanks to Entertainment One Ltd and License to PR for our advance copy. 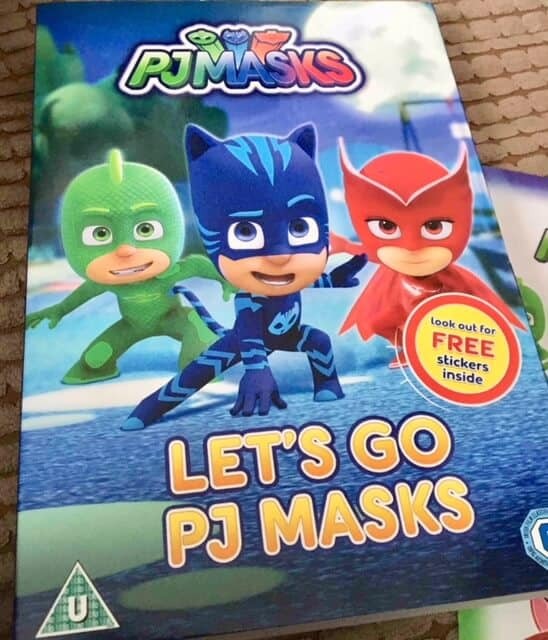 PJ Masks – Let’s Go PJ Masks will be available on DVD and to download from Monday 5th February 2018. Pre-order the DVD on Amazon here.